Citation: Goodfellow, M., & Wade, B. (2007). 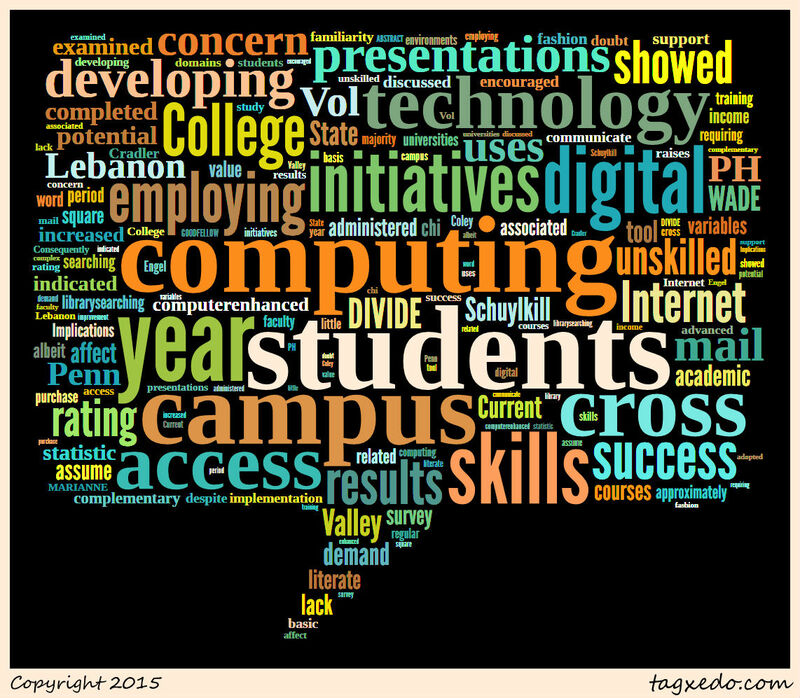 The Digital Divide and First-Year Students. Journal Of College Student Retention: Research, Theory & Practice, 8(4), 425-438. Summary: The authors explored the digital divide along lines of income, racial, and household type and its impact on first year college students. 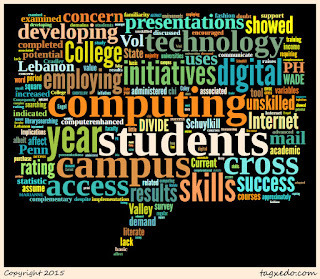 888 students over three years at Penn State Schuylkill Campus filled out surveys requesting demographics, technology access, and skill levels in the following domains: word processing, e-mail, Internet searching, library searching, computer-enhanced presentations, creating Web pages, and game playing. The results highlighted differences that occurred over the three years. Students surveyed in the third year reported increased access, improved word processing skills, and Internet-searching skills compared to students in the first year. The authors noted that the improvement in skill accounts for potential changes in K-12 education to enhance technological exposure and skills. However, students’ improvement did not indicate impressive returns as students reported being "unskilled" in word-processing (44%), Internet searching (26%), library searching (64%), and email (32%). The article did not bring much to bear the breakdown of these skillsets and demographic differences.